1. All requests for records must be submitted to the City Clerk at 25541 Barton Road, Loma Linda, CA 92354 or via email at bnicholson@lomalinda-ca.gov. Requests will be processed in the order in which they are received. 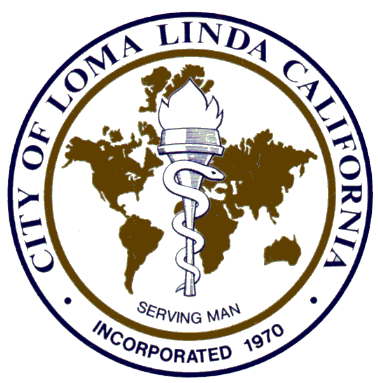 The Public Records Request form is available on the City Clerk’s page of the City’s website at www.lomalinda-ca.gov; may be requested via email from bnicholson@lomalinda-ca.gov; or by phone by calling (909) 799-2810. 3. You will be notified within ten (10) days whether your request seeks copies of disclosable public records in the possession of this agency. The ten-day response period starts with the first calendar day after the date of receipt. In most cases, your request will be processed within two to four weeks, or sooner. PLEASE NOTE: If the request is received after business hours or on a weekend or holiday, the next business day will be considered the date of receipt. If the tenth day falls on a weekend or holiday, the next business day is considered the deadline for responding to the request. The time limit for response to a public records request is not necessarily the same as the time within which the records must be disclosed. Consult with another agency or City departments having a substantial interest in the determination of the request. Compile data or construct a computer report to extract data. 5. You will be notified of the approximate number of pages and/or length of time it will take to process your request. 6. If your request is to review records (rather than receive copies), an appointment will be made with you for review once the records are gathered. 7. There is a charge for the direct cost of duplication of $.25-3.00 per page. Payment must be made prior to release of records requested. 8. Certain records are generally exempt from disclosure pursuant to Government Code Section 6255, where the public interest served by not making the records public clearly outweighs the public interest served by disclosure of the records. The Government Code further provides that certain other records are specifically exempt from disclosure. I understand that the City will respond to all Public Records Act requests in compliance with State law. For copies of the above-listed public records, I understand the City copying fees will apply and or statutory fees for copying may apply. I understand that I will be responsible for payment of all copying fees in advance of delivery of any requested copies. I also understand that the City has 10 days to determine if the request seeks disclosable records in the City’s possession. In some instance, the time may be extended by written notice if additional time is required to research for and collect the requested information.